Don't underestimate the importance of this yearly checkup for your home. Perhaps the most vital time of year to have your roof inspected is the fall, before the cold of winter sets in. Timing is key. Frigid temperatures can compromise the success of new roof installations and such repairs as shingle replacement because new shingles can’t seal down properly when it’s too cold outside. Moreover, attempting repairs on icy roofs can be treacherous, so roof problems uncovered too late in the season may have to wait until spring to be fixed. Another argument for a fall inspection is the fact that certain roof repairs should be initiated in the fall so they can be completed the next spring—for example, treatment for moss and lichen. The solutions used for either of these invaders can require an extended amount of time to work, sometimes up to 180 days. If moss or lichen are discovered during a fall roof inspection, there’s still a chance to get at them before cold weather sets in. Then, the treatment can be working during those long winter months, and the dead lichen can be swept or rinsed off in the spring. • Structural Inspection: The inspector will check for uneven roof planes and signs of sagging, in addition to examining the condition of the soffit, fascia, and gutter system. Masonry chimneys should be inspected at this time for cracks, crumbling grout, and damage to chimney caps. 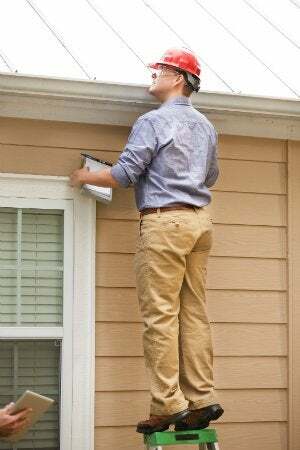 The inspector may also check the venting in your attic; improper venting can lead to heat and moisture buildup that reduces roof life and increases the risk of ice dams forming at the roof’s edge. • Material Inspection: Here, the inspector will be looking for loose, missing, or curling shingles; stains; moss; rust; and missing flashing or fasteners. 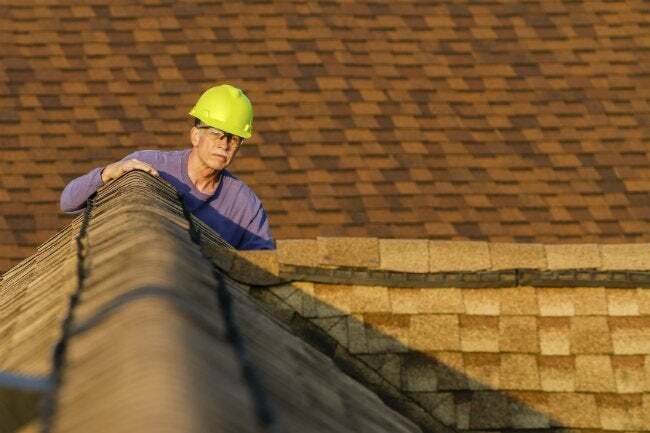 Shingle aggregate that has settled in roof valleys or on the ground at the bottom of gutter downspouts is a sign that the roof could be near the end of its useful life. The inspector will also check the rubber boots and seals around vent pipes, looking for gaps or deterioration. • Interior Inspection: Because roof leaks ultimately damage your home, the inspector will check interior ceilings, the attic, and interior walls for water stains, mold, rot, and other signs that water is making its way into your house. • Workmanship Inspection: A thorough inspector will examine your roof for problems in workmanship that could increase the risks of leaks or other roof damage in the future. Incorrect flashing around roof penetrations—including vent pipes, skylights, and chimneys—would all be red flags.